Branding: it’s what we do now. Here’s a story of how one small college in Alabama got the attention of not only their students — but those students’ friends. 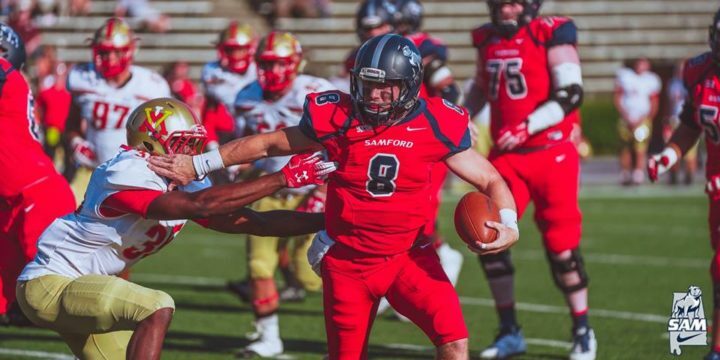 Birmingham’s Samford University became a real trailblazer when it comes to social media: they were the first NCAA school to send photos of their football games to the student athletes in real time. Kevin Young, the college’s associate athletics director for marketing and strategic communications, knew a secret to engagement: “people want to interact with the student athletes,” he said. The secret was speed. A photographer on the field snaps a shot of a winning touchdown, which is instantly sent to the press box. They open the shot straight in Lightroom, add the team’s logo and branding look, and post them on social media within minutes. On Twitter, they can update scores along with images taken from that quarter — rather than file photos. The athletes themselves get the updates on their phones and, guess what? They can share them instantly with their friends after the game. How much have their engagement numbers gone up? According to Young, 250%. Now that’s advertising. Read the full article—and watch a well-made video—here. Want to learn more about how Capture Higher Ed can help with your content hub and social media campaigns? Watch a recording of our recent webinar Social Media Marketing: A Guide to Getting it Right!